Restaurant Review: Canal Bistro - NCHS Live! There is a lot of meat in this place. Canal Bistro, just off of Guilford Ave., on the bank of the canal in Broad Ripple, is a mediterranean-themed restaurant that has been in service for several years. The actual restaurant itself is oddly shaped, as the kitchen sits in such a place that the entry hall and the seating area are on completely different sides of the restaurant. And while the opening line of this article sounds like innuendo, it is a true statement. 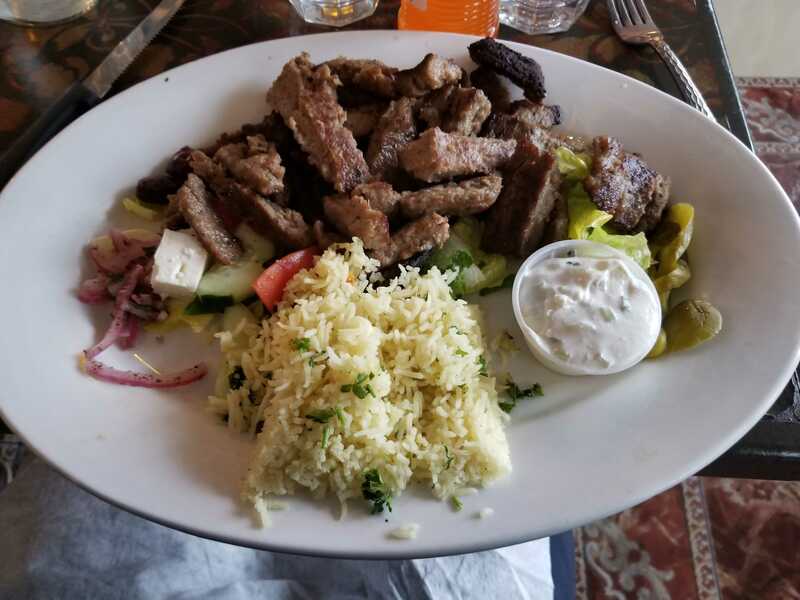 As Canal Bistro is mediterranean-themed, and mediterranean cuisine tends to use a lot of meats in its dishes, there is a lot of meat, for dishes, at Canal Bistro. I was liking this place even before I arrived. The first dish to be reviewed was a much larger than expected. The gyro platter, as the dish was titled, was much greater in quantity than expected. This dish is just a big plate of all the ingredients that you would usually find in a Greek gyro, just not put together. This included, as can be seen in the photo, a great quantity of lamb. The lamb, overall, was not the greatest. Some slices were crunchy, others were very tender. It seemed as if some pieces were under cooked, other over done, some cooked perfectly. The tzatziki sauce, which is a staple of any quality gyro, was rather lacking on this dish. While good tzatziki usually has some tartness to it that gives it a kick, this sauce was more like sour cream, in that it lacked any kind of bite. The other parts of the dish were exemplary, tough. The rice tasted amazing, and it was neither too wet nor too dry. The feta cheese tasted amazing. It was if it were teleported straight from Greece to the restaurant, it was that well done. The Kalamata olives were exemplary. The pitted, purple olives were well made, as they had a very strong tart taste, which is what you want in good olives. The regular gyro, which was actually wrapped, suffered from the same issues. The meat was irregularly cooked and the tzatziki was weak. These flaws were less noticeable, however, as the ingredients were actually wrapped, like a proper gyro. 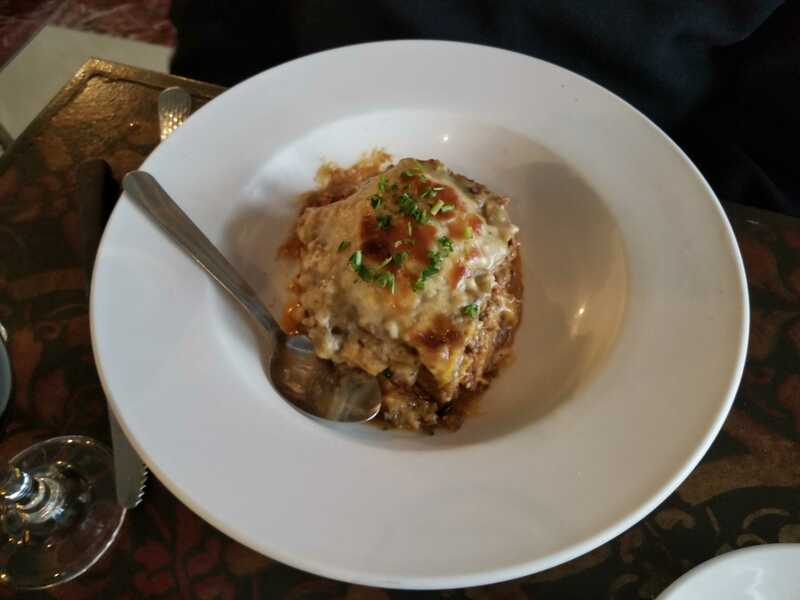 Finally, the Moussaka was less Greek mediterranean, and more Italian.